National School Counseling Week, sponsored by whole child partner the American School Counselor Association (ASCA), is being celebrated this week, February 3–7, to focus public attention on the unique contribution professional school counselors have on students and school systems everywhere. National School Counseling Week highlights the tremendous impact school counselors can have in helping students achieve school success and plan for a career. More than 32,000 school counselors nationwide will be participating in the week's festivities. Many school counselors will be hosting special events and activities to call attention to the countless benefits of a comprehensive school counseling program. "School counselors work with all students to remove barriers to learning by addressing students' academic concerns, career awareness in post-secondary options, and personal/social skills," said Kwok-Sze Wong, ASCA executive director. "Comprehensive school counseling programs help to increase student achievement and provide a much-needed resource for students, parents, teachers, and administrators. School counselors are integral to student success." The theme for this year's celebration is "School Counseling: Building Magical Futures." Parents or community members with specific questions or who are looking for ways to celebrate should visit ASCA's website at www.schoolcounselor.org. The American School Counselor Association (ASCA) is a worldwide nonprofit organization based in Alexandria, Va. Founded in 1952, ASCA supports school counselors' efforts to help students focus on academic, personal/social, and career development so they not only achieve success in school but are prepared to lead fulfilling lives as responsible members of society. The association, which is the school counseling division of the American Counseling Association, provides professional development, publications, and other resources, research, and advocacy to professional school counselors around the globe. 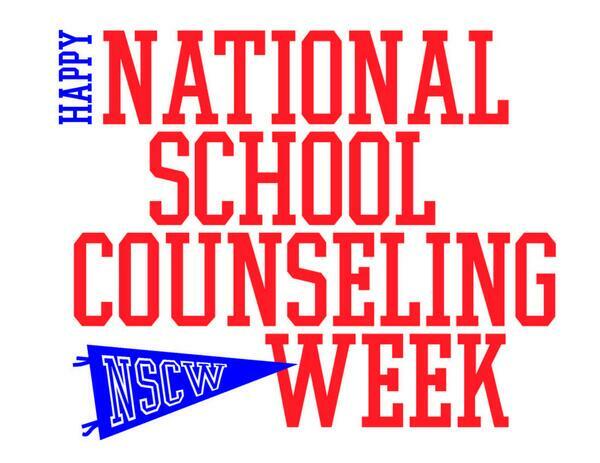 Thanks for all that you counselors do. It sure helped me as a adolescent to finish school…Frank C.